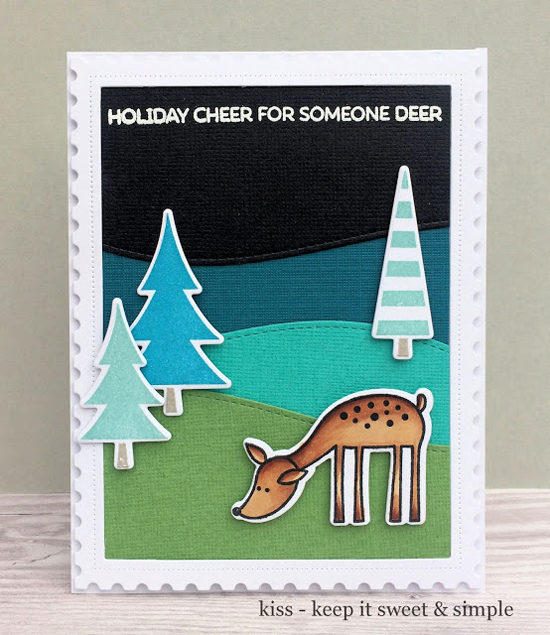 Annett's festive card incorporates two of our holiday stamp sets — Merry Everything and Oh Christmas Trees. The use of our Snowfall - Vertical Die-namics makes for the perfect backdrop to Annett's design! Lynnea created an adorable scene with our Beast Friends set. I love how she made a wintry forest with the trees in the set nestled among the snowy hills die cut with the Stitched Snow Drifts Die-namics. And that scarf! So CUTE! Caroline used the Stitched Snow Drifts Die-namics, too, in dramatic blues and greens for a peaceful background for the Oh Christmas Trees and Deer Friends images. Very striking! That's one super cool penguin, Fredrikkea! 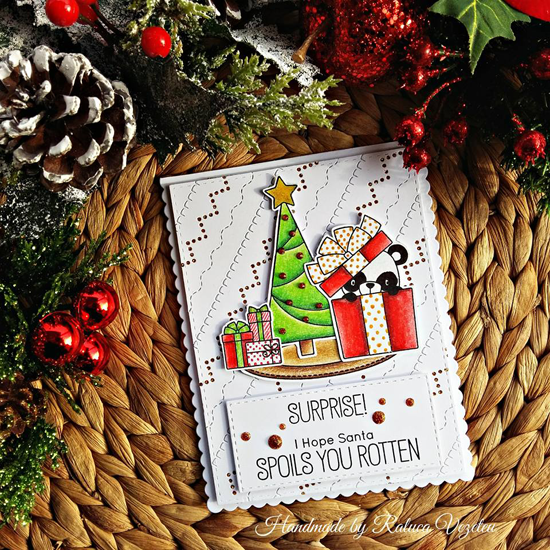 Such a fun design created with the adorable images from our Chill Wishes stamp set. The red and white twine finishes it off perfectly. 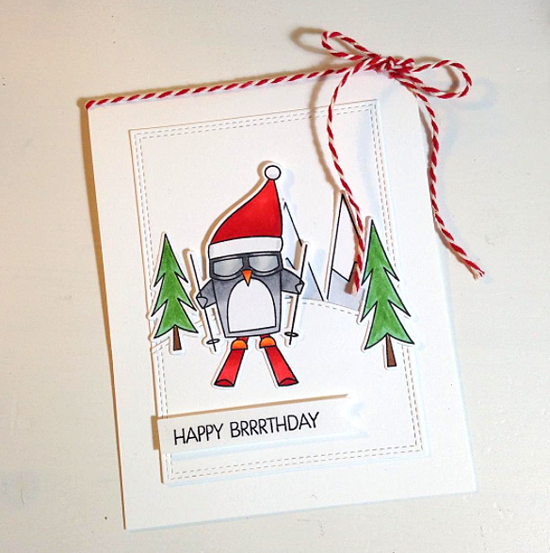 Raluca went to town with three Birdie Brown stamp sets to create her holiday scene. 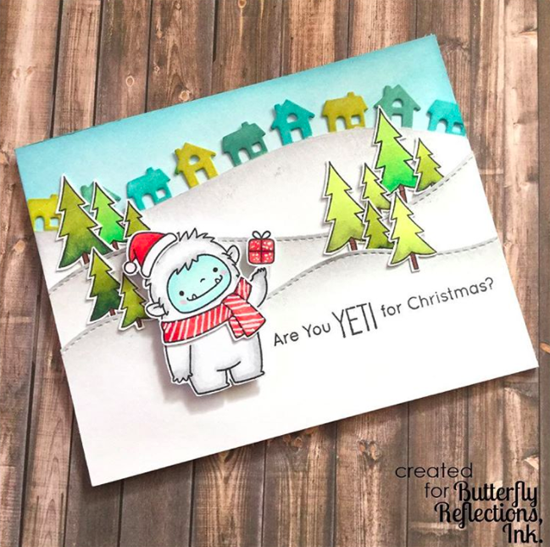 She transformed one of the bears from the Beary Special Birthday stamp set into a holiday panda bear with a little bit of marker magic. And how COOL does her Homespun Stitch Lines background look? Thanks for using MFT, ladies! You've left us inspired, and that's what it's all about! 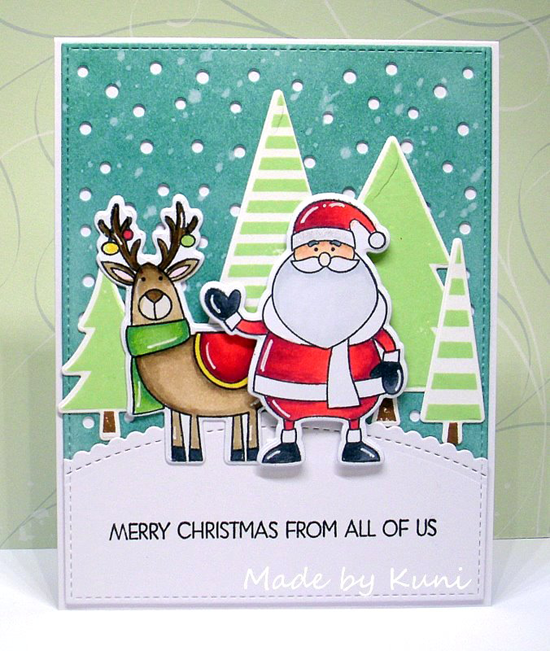 See you tomorrow for another great Sketch Challenge, and look for the next MFT Color Challenge on Thursday, December 8th. Thank you for spotting me! It made my day!! Wow! Thank you for 'spotting' my card. I am so delighted. Terrific cards from the other ladies - so lovely to see their work.